By delivering these together, we live out our Better Venture™ Process. 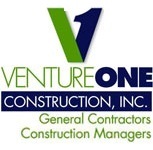 Over the years, VENTUREONE has refined this approach to a world-class standard of excellence. Among other innovations, we've applied the manufacturing industry's renowned "Six Sigma" philosophy and methodology to optimize quality in every aspect of our pre-construction, construction and post-construction services. 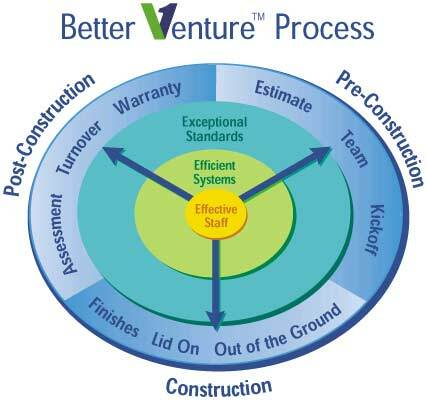 With the Better Venture™ Process, you can look forward to projects with smoother kickoffs, faster progress, and easier close-outs. Rest assured that when you engage VENTUREONE, you are engaging a company committed to your peace of mind... the first time, every time, anywhere.